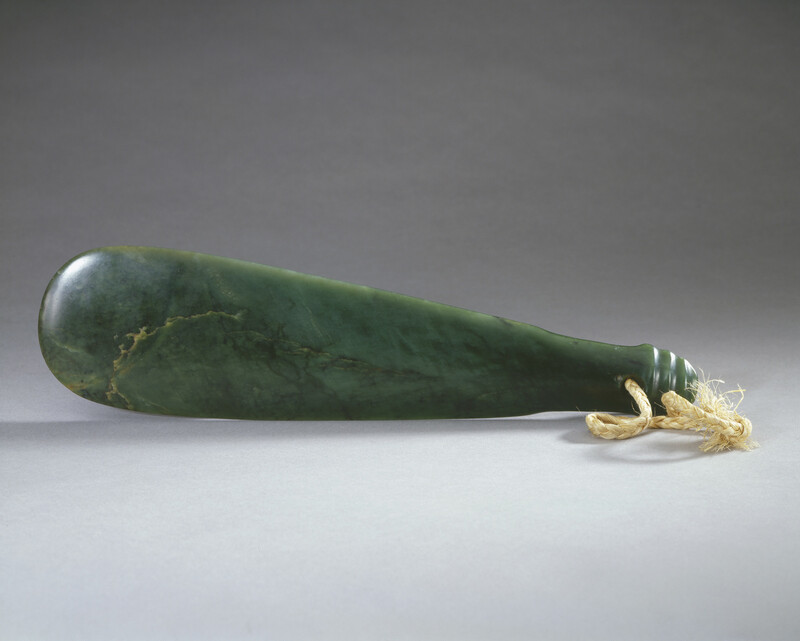 A Maori greenstone mere (flattened club-shaped weapon), pierced for a string handle. A mere is a hand club carried in a warrior's flax belt. It is a treasured heirloom, passed from generation to generation, and owned only by those Chiefs of highest standing. Chief Paora Rerepu Te Urupu's forebears had used the mere to fight the incoming Europeans; he hoped it would now assist in a campaign to bring Europeans and Maoris together, facing and overcoming life's challenges and difficulties.